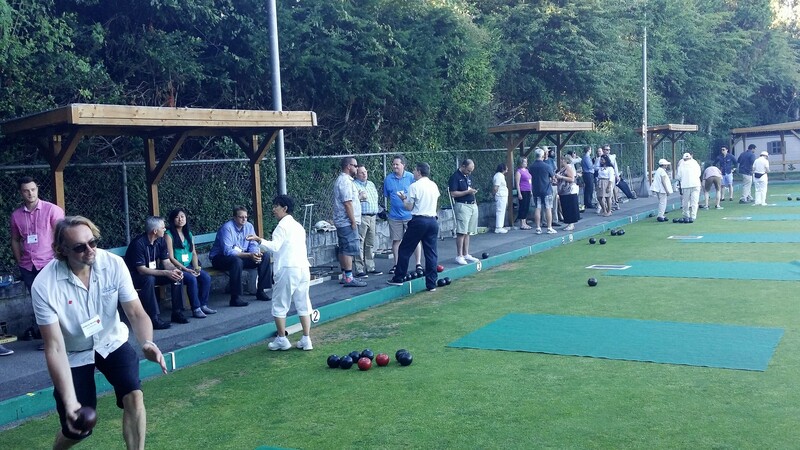 Do you have a group from work, or friends or family who would like to try lawn bowling? Contact us regarding the limited number of rental slots that may be available during the bowling season. We are pleased to offer these time slots to groups of 10 to 30. The program includes a short lesson on the game, then about 1-1/2 hours of fun on the Green. Since we have club play during weekends, as well as Mondays and Wednesdays, we generally cannot accommodate rentals at these times. All players must wear flat-soled shoes – white attire is optional. Please contact Dave for details, availability and pricing: Information. Place “Rental” in the subject line.